When you think about the multitude of after-effects that a skydive is going to have on you, several things probably come to mind: the bubbling feelings of elation; the sense of personal empowerment; the pride in sharing the photos and videos of your jump with the world. And all those things, gosh darn it, are definitely going to be a thing! There’s something else you might be left with, though, if you’re not careful–and that, my friends, is tangles. Whether you’re a long-locked lady or a seriously shaggy señor, long hair is something that you’re going to want to plan for when you make a skydive. Those who arrive at the dropzone with the idea that it’ll feel great to just let it stream loose end up paying for that decision with hours of brushing-out and tubs of conditioner. To help you avoid that fate, we’ve put together some ideas on how to tie up those luxurious strands. You’ll notice that the theme throughout is to pin up your hair as much as possible (with a bit of style, naturellement!) Note, of course, that you’re still going to be falling at 120mph–so you’ll definitely land with a, well, windblown look. That said, this will help protect your hair from the worst ravages so you won’t spend the next week brushing out the knots. 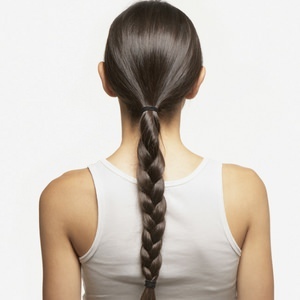 For hair control, braids are best. To keep them from flailing around and thwacking your tandem instructor like brutish instruments of medieval torture, wrap them close to your skull and pin them there. Bonus points if you channel your inner Princess Leia. Extra bonus points if you’re a dude and channel your inner Princess Leia. Looking for extra “hair insurance”? Take a tip from the pros. Even if your hair isn’t particularly long, bring a Buff or a skullcap along with you to the dropzone to pop on under your helmet. A hefty percentage of pro and sport skydivers use this method to keep freefall-thrashed split ends at bay. Well? What’re you waiting for? Get out those brushes, bands and clips and get ready for your close-up, you stunner, you! 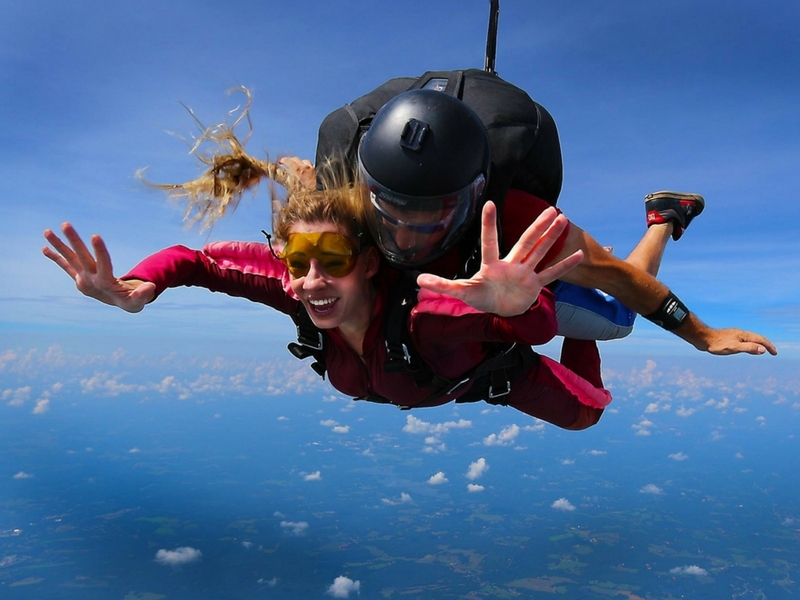 Book your reservation with Skydive Monroe today! There are plane-related selfies in your future, and you’re gonna want to look good.